The announcement of a joint venture between GIC and Macquarie Capital in the largest transaction of its kind in the Australian student accommodation market to date demonstrates the increasing emergence and importance of this institutional asset class. Jones Lang LaSalle’s Director of Student Accommodation Services, Conal Newland provided valuation services to the joint venture partners, GIC and Macquarie Capital, for the Iglu portfolio worth AUD$150 million which the partners have acquired a majority interest in. 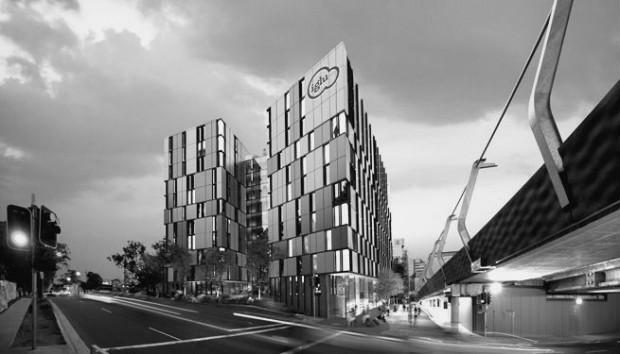 Iglu Central in Sydney, with 98 bedrooms of student accommodation, opened in 2013. Iglu Chatswood (above) providing 395 beds will be the first institutional-grade purpose-built accommodation outside of the CBD and opens for the 2014 academic year. Iglu Brisbane has development approval for over 400 beds and is due to open in 2016. Mr Newland said, “Our analysis of this latest transaction in the market, on an individual asset basis, indicates Net Initial Yields in the range of 7% – 7.5% for stabilised student accommodation income streams on good quality purpose built residences. “There is currently over $1 billion of potential investment looking to enter the Australian student accommodation market to capitalise on the strong fundamentals that currently exist, such as the gap in supply and demand of existing good quality accommodation, the high occupancy rates, annual real rental increases and the attractive total returns offered relative to the core asset classes. “The sector is evolving rapidly and attracting large national and international institutional investors, who have exposure to the more established global markets and are seeking opportunities to secure early investment into the Australian student accommodation market. “We are seeing a number of investors increasing their exposure to alternative asset classes and the Australian student accommodation market is offering some exciting opportunities. “These investors are primarily focused on prime assets and experienced operators, with a view to benefit from yield compression as more liquidity enters the market,” said Mr Newland.